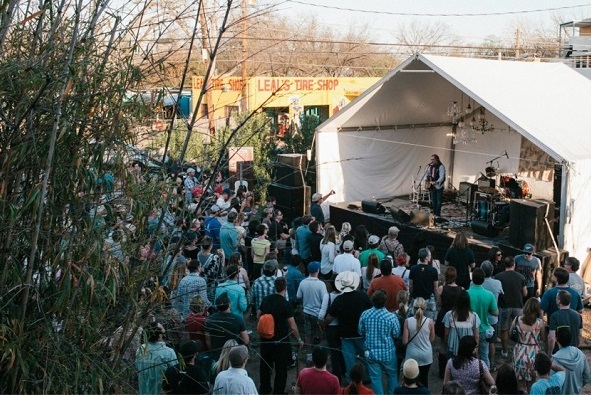 American Songwriter is proud to present The Billy Reid + Weather Up Austin Shindig, a two-day musical extravaganza deep in the heart of Texas. The event goes down March 12 and March 13, from 11:00 a.m. to 8 p.m., at Weather Up in East Austin (1808 E Cesar Chavez Street). This year’s party will feature performances from must-see artists like Hurray For The Riff Raff, Robert Ellis, Kurt Vile, The Felice Brothers, Jessica Lea Mayfield, St. Paul And The Broken Bones, and Rhett Miller of Old 97s, among others, and will also include a set from Texas songwriting legend Billy Joe Shaver. Also, Third Man Records will be on hand Thursday with special DJ sets from the bus, along with other surprises. Want in? Make sure to RSVP below. A free download of songs from the artists performing at the Shindig can be found here. And be sure to check out the video of last year’s celebration below. Fill out the form, then hit the “return” or “enter” key on your keyboard.